Of late, and for obvious reasons, I've become more likely to pray than to curse. Indeed my new program is to swap a prayer for a curse whenever I find I've slipped into the cursing mode. In a world that is accursed putting more curses into it is never a good idea. We are full up at present. No shortage of curses that I can see. Still, slipping into the cursing mode is easy to do in today's world. We're encouraged to do it by the very nature of the secular society. It's a bad habit and one that I am trying to break. One way is, whenever I catch myself in an angry cursing moment, to recite a prayer instead. And the goto prayer in these multiple moments is always the Lord's. It's brief. It's beautiful. I can say it at high speed and by rote. Which is a fancy way of saying that without the gift of this day being given all else is lost. Secular thinkers speak of this as being "in the now" as if "being here now" was all that it took to be really alive. I lived in that popcult fauxworld for years before escaping and, looking back, I seem to remember it not as replete with luminous headlands overlooking the sea, but as the shadowlands that loom beyond a darker border. It was neither a gift nor a curse, a burden or a blessing. It simply was and, as a result, was rather unremarkable. That secular world originated out of nothing, out of the limited imagination of the noosphere and, with no reach beyond itself, existed closer to the Alpha than to the Omega. It had, as secular things often do, a tangle of bright, shiny deceivers clustered around it like gnats outside a privy, but when you arrived at the center it had nothing to say about tomorrow, and very little to promise about this day other than that it would be roughly similar to yesterday. There was little inscape and no escape. Its "Now" was always the same day, neither given nor taken but simply existing. It was the kind of day in which the existence of the Human and the existence of Planaria were essentially equal. I, for one, would rather ask for my day than simply arrive in it. Which is why, when I pray the Lord's Prayer, I always pause -- at the very least -- when I come to the phrase, "Give us this day." And in that pause I remember another phrase derived from scripture, "Tomorrow is not promised." I once knew that phrase, "Tomorrow is not promised," in a rather dry, academic, vaguely poetic manner. Now, having had my all my tomorrows removed and then miraculously restored, I understand the phrase down to the marrow of my bones. Coming into this day I always ask "Give us this day." Departing the day I find I return to the early litanies of childhood, "I pray the Lord my soul to keep. If I should die before I wake...."
Would you write my sermons, please? I don't get one a week. Alas. Thank you for this and so much else, so many other truly luminous reflections. I am in a particularly difficult season in my own life, and your words are frequently my raft in these turbulent waters. My own adventure in the coronary ward is now six years passed. But the experience changed a vague acknowledgment of mortality to real, gut level, first hand knowledge. You're never quite the same afterwords. Sometimes it's hard not to curse. It's hard to dodge the anger. It's hard to keep perspective. It really is all we have. So very good. All of it. I too have firmly resolved to do away with the cursing. I picked it up late in life and am bored with it now that it is a stubborn habit. Moreover, I think it muddies the Spring of Life: "can sweet water and bitter flow from the same fountain?" Note: this resolve does not apply to time spent on the sailboat. Alas, indeed. The ones you do get are amazing. Thanks for this one. I have a shamefully bad cursing habit, which I'm trying to break for my boy's benefit if not my own (he's learning to talk now, and monkey hear, monkey say...). Even just replacing a "damn" with a "bless" in my most frequently used phrase would be an improvement, and as you said the world is cursed enough already, without my demanding more. Gerard, in the tradition of Scripture, the day that He has made begins at sundown. We are asleep while He prepares the sunrise to greet us. We are resting while He is working on our new morning. You're young, yet, even though you are old. The thing about the Lord's Prayer is that the first three petitions - the ones Jesus thought ought to be considered and uttered foremost - are the ones people are most interested in ignoring. Thy will be done - God's will not mine, should be the first and last wish of my heart and mind. Yet we move on so swiftly to the other parts. God is first. God is last. God is our reason and our future. The "H" stands for Holy. That's what my dearly departed Irish Catholic mother said, so I'm stickin to it. Indeed, God is first and last, the alpha and the omega. As a very smart guy who was a biblical scholar of sorts tried to tell me over and over for the last, um 20 years, that prayer is about you getting with God's program, not about His bestowing some goodies or bounty on you that you think you need. The hardest thing for all us "free-willed" stubborn and proud humans to do is to humble ourselves and try to understand how we can do God's will every day. Trying to do God's will on earth is a mighty tough chore, but He will provide. God be with you, Gerard Van der Luen, all the days of your life. He has preserved you for a reason, just as He has given us all "second" chances to do His work on earth. One hopes that Whitney finds her way back to the words she's singing.It is her only way out of the drowning waters of drug addiction. So very sad to see what has become of her. Thanks for not hurrying on. Yes, "give us this day" is a wonderful attitude of appreciation, gratitude, and acknowledgment toward the Creator. But Christ had eternity to think of the word formula as the answer to the request, "teach us how to pray", and he gave us the, "Our Father..." prayer. I believe this prayer is the perfect blueprint we need to establish a communicative relationship with the Almighty. Based on it, someone developed ACTS. A-Adoration. Joyously proclaiming God's greatness, power, and glory! C-Confession. Acknowledging our flaws, our weaknesses, past transgressions, etc. T-Thanks. Whoa! So much to be thankful for, eh? Speak it. S-Supplication. Specific prayer, for specific people, and situations. 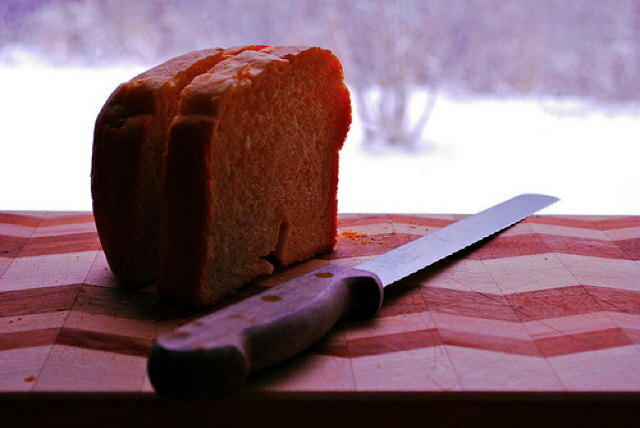 God knows our needs, that we need "our daily bread", but he wants us to turn to him, in relationship. He desires it! Just think of it! The creator of the universe, so great, so holy, so far beyond knowing, so other: and yet so personal he knows the hairs on your head and when a sparrow falls to the ground. "Our Father who art in Heaven, hallowed be thy name, thy kingdom come, thy will be done, on earth...(that's us, in us), as it is in Heaven." Now it becomes all about submission. For this day, 2013, a Prayer for World Communion Sunday. Thank you for this post. It got me to thinking of my time so far on this Earth. I first heard this in the rooms of AA. I'm trying to find the source, give credit to the author. It is not the experience of today that drives people mad - it is the remorse of bitterness for something that happened yesterday, and the dread of what tomorrow may bring. A gift. Gerard. You have it and this was another. You turned a bad day around for me just by this reminder what matters. Don I read this someplace - sounds like the useful stuff at AA: kinda corny but memorable and like much of it, real enough to hang onto. Yesterday is history, tomorrow is a mystery. Today is a gift thats why they call it The Present. Profanity is am inappropriate use of any expression on our 24/7 'painters palette', whether it is words, action or art. ...and if there is no expression to describe that hollow within the undiscovered country of our soul, then invent one (definition of art, I suppose) - which is still different than the profane. A peek at the unseen hand of the Maker of our world, and yet live to tell the tale. 'Time is the fire in which we burn' and is as real as it gets. Due to our fallen natures, meaning and potentiality of past and future are necessary guiding stars to mark time and distance in our journey through this paradise; so we are not crushed by the unbearable weight of the perceived "repetitive sameness" of the terrain. Thy Will. The two-word prayer. Thank you for re-posting this, Gerard. I had missed it the first time around. In an oddly related way,"Give Us This Day" is also the title of a harrowingly beautiful WWII memoir by one Sidney Stewart, who survived both a Japanese P.O.W. camp and the Bataan death march. I think the book is now out of print, but my dad (USMC) read it aloud to my brother and I when we were younger. "Tomorrow is not promised." Indeed. My heart attack in 1997 wasn't severe enough to ram that point home; but being told, four years later, while lying in a hospital bed unable to move, that I urgently needed aggressive chemotherapy and without it I had a couple of weeks - and if the treatment was started the build-up of tumour breakdown products might kill me faster than that - that was a wake-up call. Now, every day is a bonus. Not a formula, not a get-saved-quick scheme, just what Matthew (and he should know) told us. Beautiful. What I said before, the first comment above. Precious. First time seeing this post and I will say it came on a good day (with my thanks). Amen, amen. Thanks for this; how blessed we are to have this day! And how blessed, too, to have as our First Lady someone who truly seems to understand that. Excellent post....as always. I do wish the virulent left could learn that their vulgar, profanity-laden rants are simply tiresome, that they only appeal to others of their ilk. But then, that may be the intent, "virtue" signalling to others with no virtue. But I digress... this entry and many others on the left side of the page is one of the reasons I come here. Thanks, Gerard. You have a poetic way with words, and alas that way eludes me. Beautiful and wonderful and thank you. Peter Drucker said "communication is always the act of the recipient". The line that stops me is "lead us not into temptation" - an American plea, if ever there was one. When my mind began to fail, the Pater Noster was among the first to go missing, being replaced by the 23rd Psalm. At last: my wish to be Jewish was coming true. A good spiritual exercise, used by Roberto Assagioli on drug addicts, to help them let go: writing your favorite prayer, ceaselessly, every day until the Will (which lies outside of consciousness) can stand again on its own. "Guide me now and every day in all I think and feel and do and say." To paraphrase the magnificent apologist C.S. Lewis, at the end of our last breath it simply comes down to this:" Are we to ask God " thou will be done, or will he tell us; thou will be done?". Beautiful. Matthew 5, 6 & 7 cannot be read enough. Gerard, your light is shining!